The question of the participation of Julia Samoilova in the "Eurovision-2017" music contest, which this year will take place in Kiev, has recently been one of the most discussed in the media. A few minutes ago, the representative of the Security Service of Ukraine, Elena Hitlyanskaya, told the Interfax news agency that the SBU had made a decision to ban Samoilova from entering the country for three years. The Security Service of Ukraine banned Russian citizen Julia Samoilova for a period of 3 years. The decision was made on the basis of the received data on the violation of the legislation of Ukraine, "said Gitlyanskaya. It should be noted that on March 17 the SBU announced that it was going to check the reliability of information about Julia's visits to the Crimea. On March 20, the head of the SBU Vasily Gritsak said that although the official decision to ban the Russian singer has not yet been adopted, the relevant document has already been prepared. 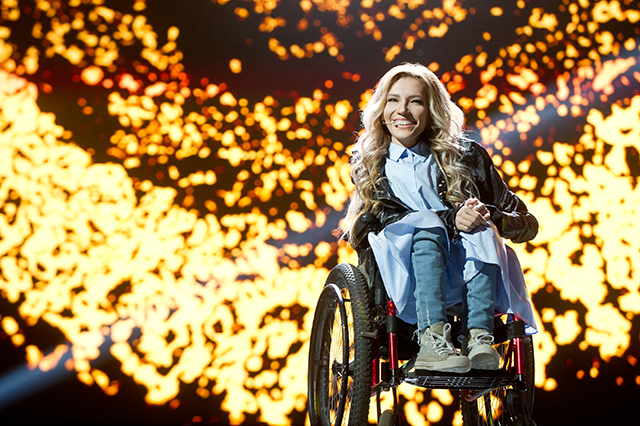 In turn, the European Broadcasting Union (EBU) said that the final decision on the participation of Julia Samoilova in the contest should be taken by the Ukrainian authorities. Even before the official statement of the SBU Federation Council Speaker Valentina Matviyenko said in an interview with journalists that Russia will wait for official explanations from the EBU before making final conclusions about Julia's participation in the Eurovision song contest. The singer Julia Samoilova, who was supposed to represent Russia at the Eurovision Song Contest 2017, commented on Kiev's decision to ban her entry to Ukraine. Her position she expressed on the air of the First Channel. "I do not understand what they saw in me. In me, in such a small girl, they saw some kind of threat, - said Samoilova, noting that she will continue to do music no matter what. According to Channel One, if Julia does not qualify for Eurovision this year, she will represent Russia at Eurovision-2018: If Ukraine does not allow Julia Samoilova to participate in Eurovision next year, Regardless of the venue of the competition, Russia will be represented by Julia Samoilova. This information was confirmed in VGTRK, which will decide on the representative of Russia at the contest next year.